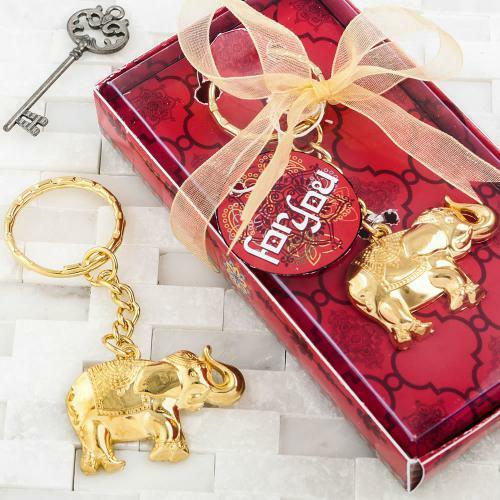 The gold metal key chain features a gold metal elephant charm with the trunk up for good luck. The raised East Indian design has an intricate head dress and a carpet. Attached to the elephant charm is a gold key chain and a gold key ring. A great favor to bring good luck and fortune to your celebration.